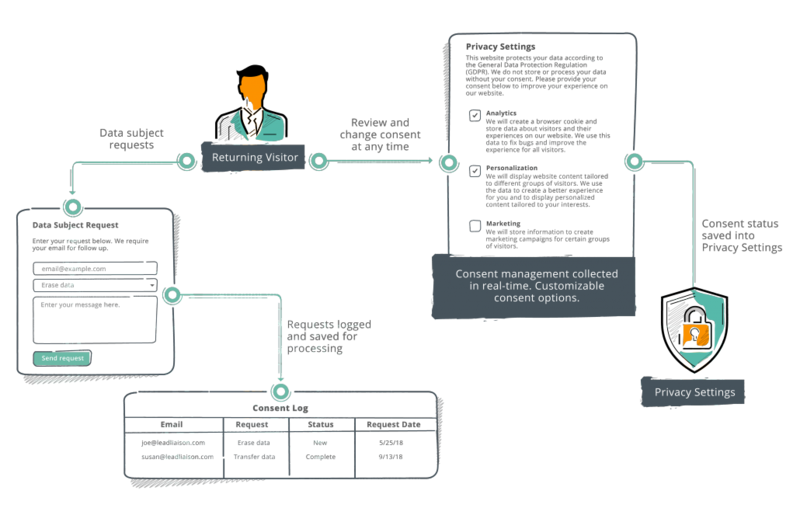 Lead Liaison’s GDPR Consent Management provides many capabilities to help companies execute and manage data privacy, such as those set forth by GDPR. 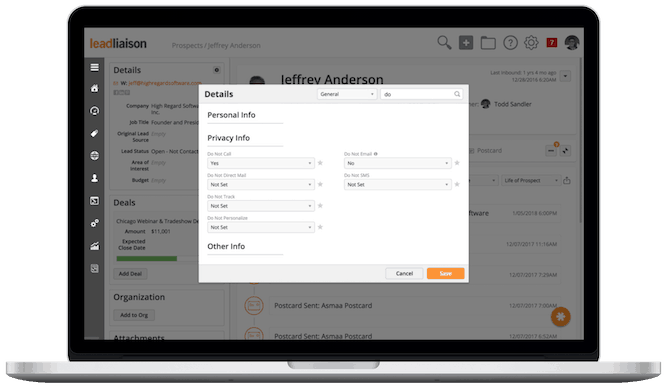 Respect data privacy by collecting consent, updating visitor/contact privacy settings in real-time, and managing data subject requests. Establish your companies posture on GDPR and take a huge leap toward compliancy to deter audits and subsequent penalties/fines. Create regions that initiate consent management policies and satisfy local data security requirements. 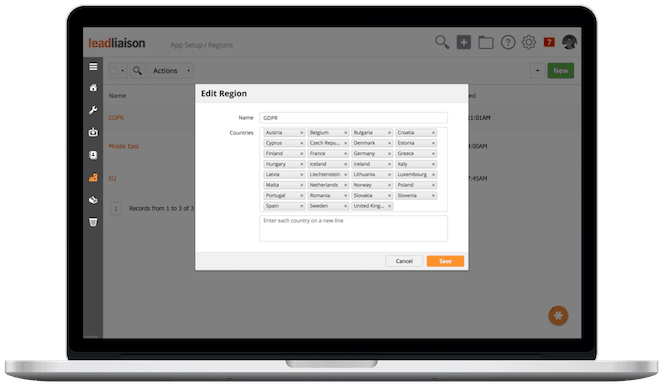 Regions are customizable with a GDPR region available out-of-the-box. 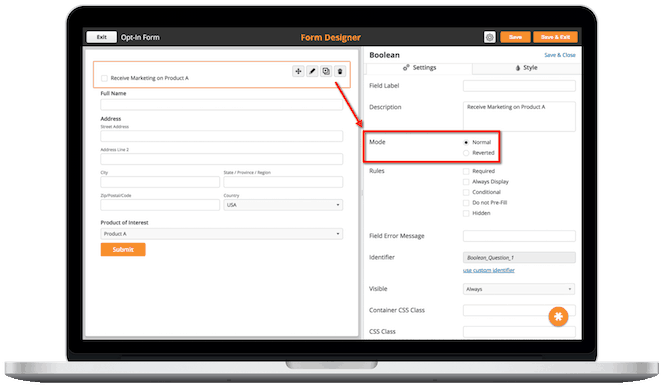 Show checkboxes inline within forms based on visitor geography. 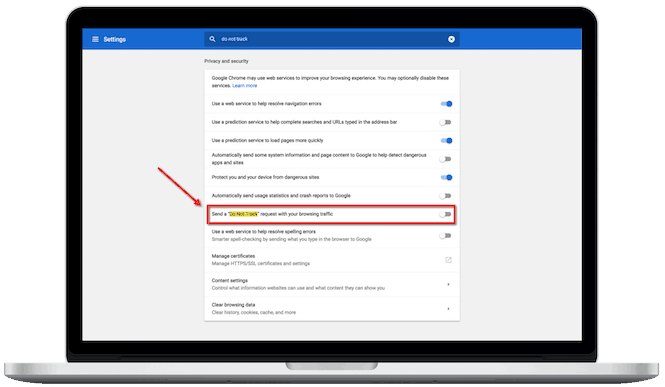 Marketers can show active opt-in checkboxes with clear descriptions as required by local data security regulations instead of defaulting to opt-out strategies. 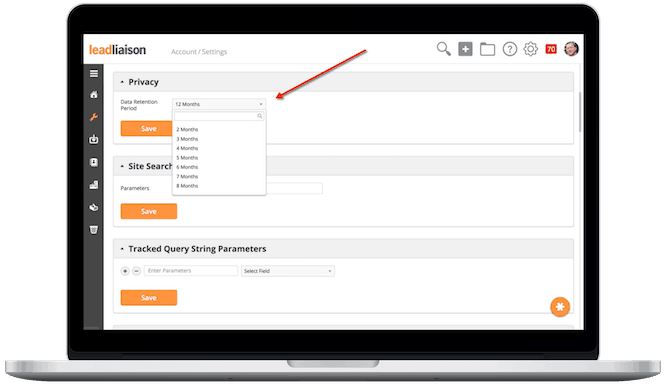 Consolidated Privacy Settings on individual profiles. 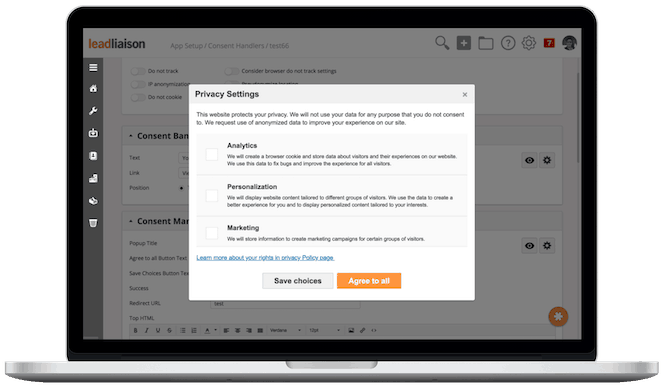 Additional checkboxes that manage overall privacy, and help satisfy GDPR requirements. Settings include Do Not Email, Do Not Call, Do Not Direct Mail, Do Not SMS, Do Not Track, No Marketing, Do Not Personalize, and more. Store justification of lawful basis for data storage and processing, which is part of GDPR. 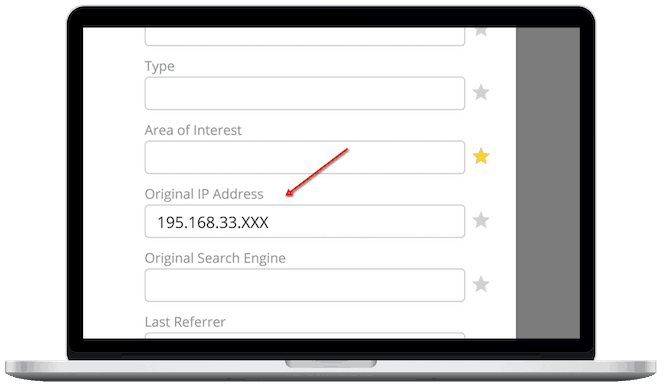 Option to mask IP addresses for visitors/prospects in specific regions as this data is considered Personal Information that should not be stored or used for processing without consent. Option to not store and process location information (city, state, zip, etc.) which is considered Personal Information in some regions. Collects and updates consent in real-time. Helps visitors feel informed and empowered. 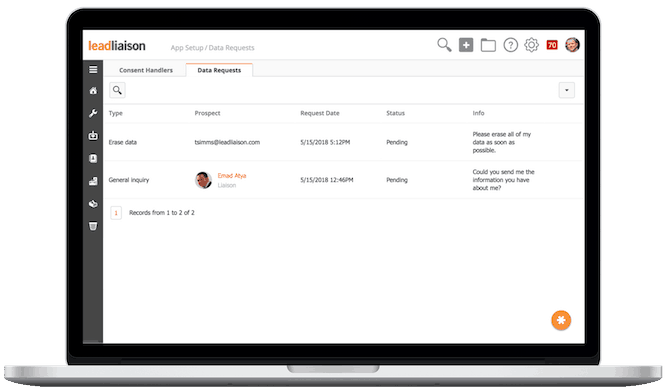 Automates key parts of GDPR consent management and overall compliance. 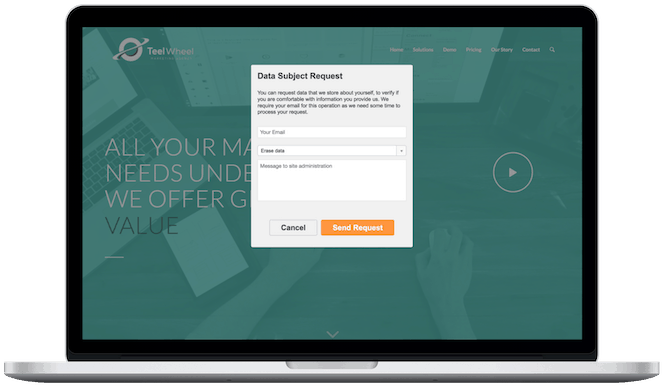 Allows Data Subject to request rights and assists in helping Controllers satisfy Data Subject requests as outlined in GDPR. Requests logged into Consent Log (below). Logs all consent requests for GDPR Data Subject rights such as: Erasure, Rectification, Access, Portability, Restrict Processing. Do Not Track is a technology that provides users with a simple and persistent choice to opt out of being tracked by websites and platforms they visit. 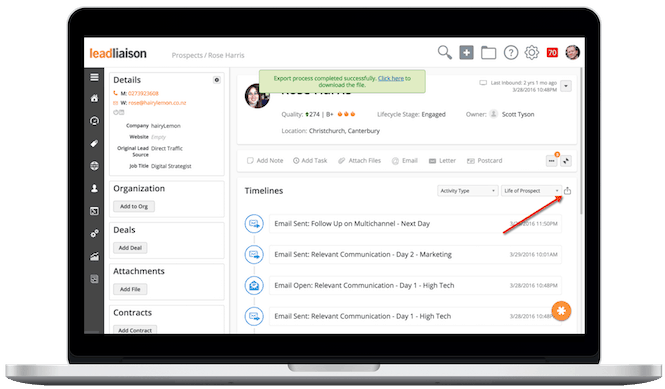 Lead Liaison will ensure you always respect your users’ right to restrict data processing. 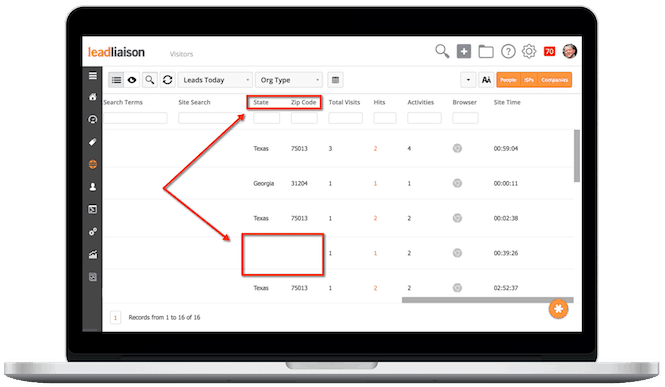 Browser settings are mapped to the “Do Not Track” field in Lead Liaison’s Privacy section. Does not cookie or track anonymous visitors. Export full list of activities in addition to demographics and other profile data. 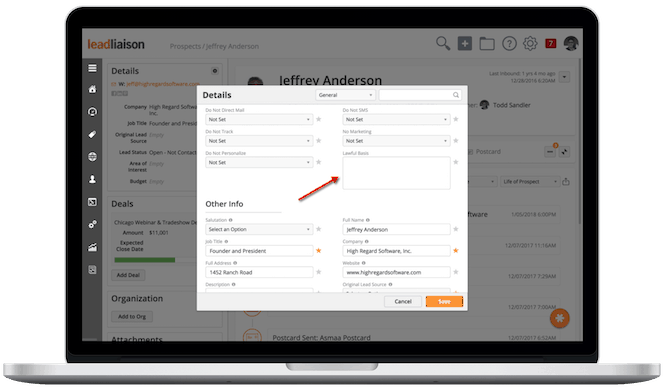 Controls to provide customers with more options to adjust retention outside of the current one (1) year retention period for anonymous Prospects. All GDPR website widgets are mobile responsive. Request a free, live demonstration of our software.